New York (AP) — David Wagner is attempting to win his fourth U.S. Open singles title and his ninth in doubles. 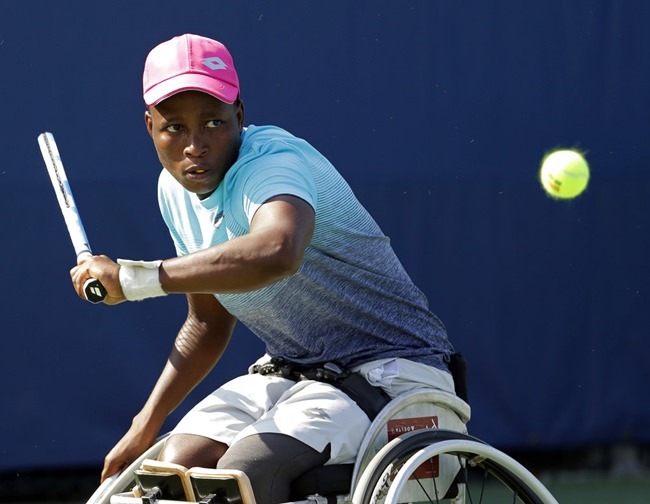 The United States’ most decorated wheelchair player begins his run Thursday in the U.S. Open Wheelchair Competition, part of a field of 20, that also includes Kgothatso “KG” Montjane, who this year became the first black South African woman, wheelchair or not, to play at Wimbledon. It has been played at the U.S. Open since 2005, but did not have a match in Arthur Ashe Stadium until last year. It will have two more played there this week. 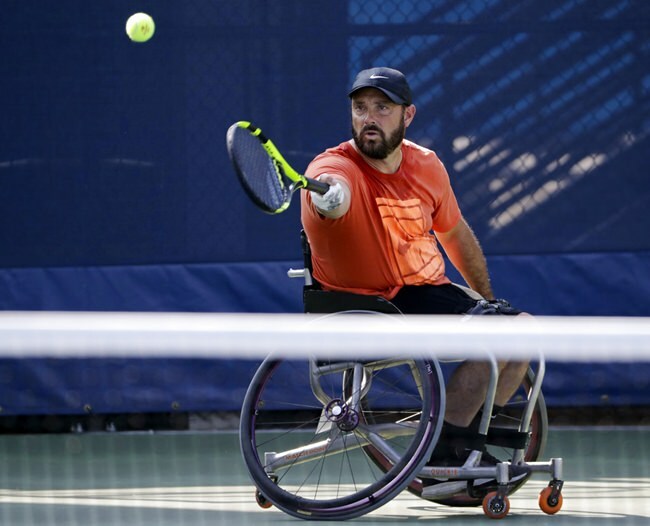 “The Grand Slams incorporating wheelchair tennis has brought a new sense of notoriety and professionalism to our sport,” said Jason Harnett, the USTA’s national manager for wheelchair tennis. It has also led to some new milestones for the sport. Australian Dylan Alcott beat Wagner in January in an Australian Open final that was played for the first time inside Rod Laver Arena and in front of a national TV audience. “Those are some huge strides,” said the 44-year-old Wagner, who has been playing competitively since 1999. This week’s competition will include men’s and women’s singles and doubles, as well as quad singles and doubles, which involves players who have substantial loss of function in at least one upper limb. Wagner plays in the quad division. He was a community college tennis player before an accident at the beach when he was 21. He was jumping for a Frisbee when he was flipped by a wave and landed on his head. He understands that the first thing fans see during a wheelchair match is the chair. They also notice that athletes can play the ball on the second bounce, which is the only rules difference between wheelchair and able-bodied tennis. It’s OK to notice the wheelchair, as long as that’s not all fans see, said 27-year-old American Dana Mathewson, who lost her ability to walk when she was 10 years old because of a rare neurological disease. What they can expect from a match, she said, is elite players whizzing around the court, flying into the net and getting to shots that seem impossible to make. 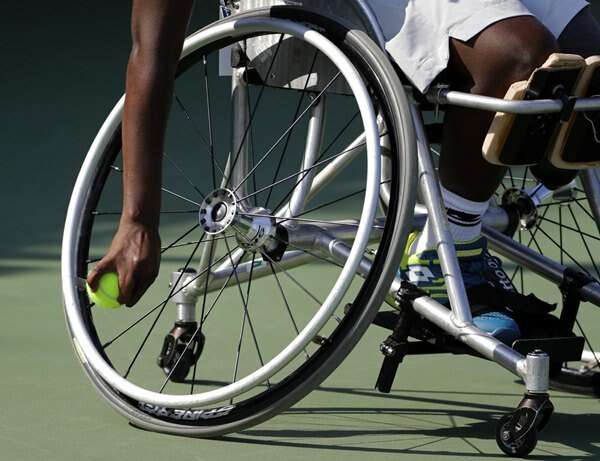 The players say it is hard for many of them to make a living solely by playing wheelchair tennis. The wheelchair athletes here are competing for $350,000 in total prize money, and the singles winners ($31,200 for men and women, $23,400 for the quad) will take home less than a first-round loser receives ($54,000) in the main singles draw, said Wagner. The players said the next big step for the sport will be to increase the size of the draws at major tournaments, so the money is spread among more players and fans aren’t seeing the same 20 athletes over and over. But Montjane, who was born with a congenital condition that affected the growth of her limbs, said she and most wheelchair athletes aren’t playing just for the money.